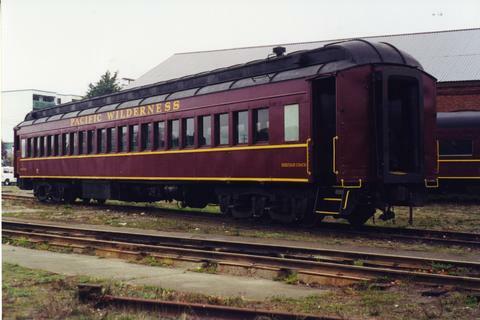 Photograph depicts a Pacific Wilderness Railway car. Built in the 1920s. Found at the Esquimalt & Nanaimo Railway yard in Victoria. Lettered "Heritage Coach."